Amanda has been my best friend since high school and it is always a great time photographing her and her family. Her brother and sister are practically my siblings and there is no holding back when we all get together. 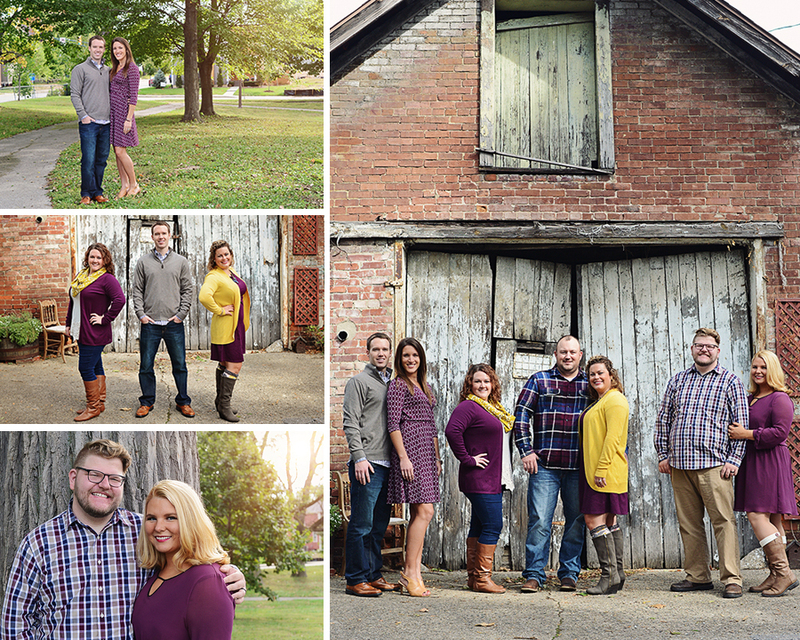 Amanda contacted me to do a sibling/extended family portrait session as a gift for their mom. They will be gifting these portraits at Christmas (no worries they have already celebrated). I have no doubt that their mom will be excited to have a new photo of her children and their spouses. However, it’s not just the portrait that is meaningful; the forethought, time, and effort will mean just as much as the beautiful picture of her kids. I absolutely fell in love with these pictures. If you are ever wondering what to wear for family pictures call up the Murphy’s…they can help you out with outfit decisions for family portraits because they nailed it.